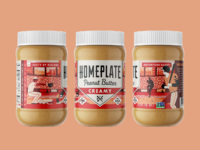 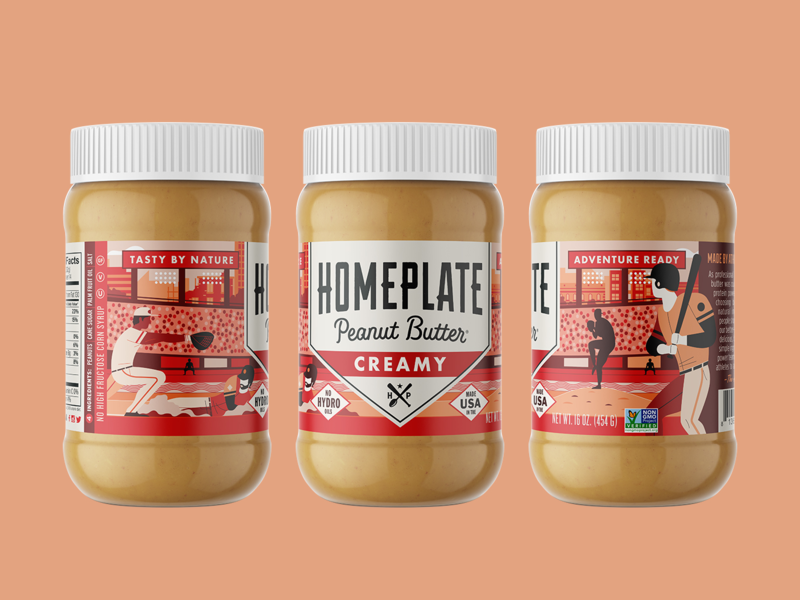 Recent rebrand we did for HomePlate Peanut Butter. 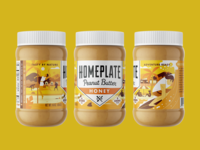 The client wanted the brand to have more impact from a shelf level. 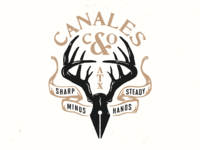 We redesigned the logo a bit to be bolder in a small space. 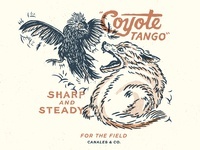 We infused a lot more color with a playful illustration style. 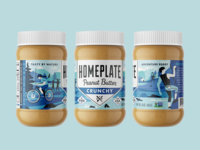 Creamy, their flagship flavor, pays homage to their baseball roots, while the other flavors explore more of an outdoor enthusiast vibe.